After months of work and negotiations, Olmar has confirmed that will take part of the “Ariane 6”, the new and ambitious project of the European Space Agency (ESA) in which up to 12 countries are involved (Germany, France, Italy, Belgium, Spain , Holland, Sweden, Switzerland, Austria, Ireland, Romania and Norway). 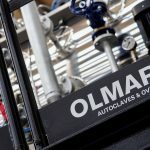 Olmar will manufacture an autoclave of extraordinary dimensions for this project, with more than 8 meters of total diameter that very few companies in the world are able to carry out. The company’s experience in manufacturing high-tec autoclaves and the success of its projects with Airbus Defense & Space have been fundamental factors in the awarding of the project. The “Ariane 6” is a launch vehicle with two versions (A62 and A64) that can launch up to 12 months of satellites and other spacecrafts per year to an altitude of 36,000 km. It is planned to be ready for 2020.